Modell 55 regularly equipped with capped oiling device. Shell is made out of chromium plated steel. 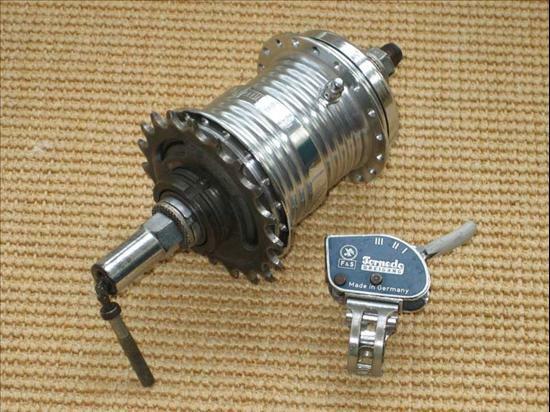 There was a variation with integrated coaster brake available. Marking "A" stands for production year 1958, the first photo shows the specific shifting lever for Mod. 55.